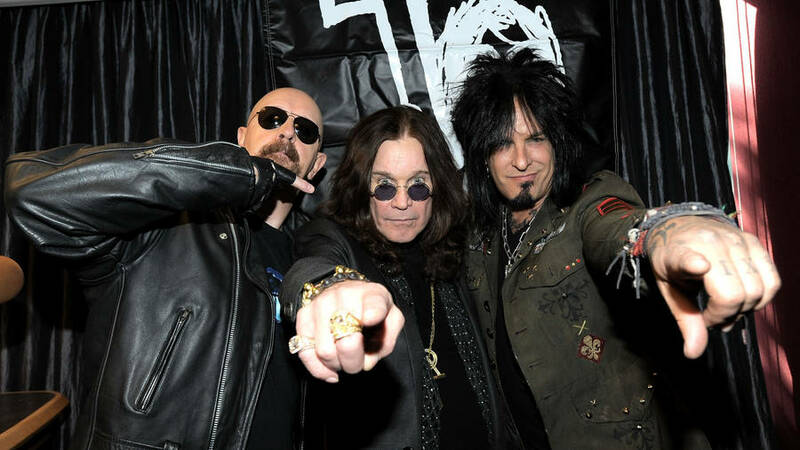 MOTÖRHEAD frontman Lemmy Kilmister, TWISTED SISTER singer Dee Snider, ex-JUDAS PRIEST/current ICED EARTH frontman Tim "Ripper" Owens and legendary Swedish guitarist Yngwie Malmsteen are among the metal icons appearing on "Flying High Again: The World's Greatest Tribute to Ozzy Osbourne", due on March 14th via Magick Records. Malmsteen and Owens cover "Mr. Crowley"; ex-DOKKEN guitarist George Lynch joins ICARUS WITCH for "S.A.T.O. "; Kilmister and guitar virtuoso Richie Kotzen cover "Desire"; Snider teams up with WHITESNAKE/DIO guitarist Doug Aldrich and drummer Jason Bonham (son of the late LED ZEPPELIN basher John Bonham) for "Crazy Train"; and CHILDREN OF BODOM cover "Shot in the Dark". 01. TIM "RIPPER" OWENS/YNGWIE MALMSTEEN – "Mr. Crowley"
02. CHILDREN OF BODOM – "Shot In The Dark"
03. ICARUS WITCH/GEORGE LYNCH – "S.A.T.O." 04. FOREVER SAY DIE! – "Bark At The Moon"
05. LITA FORD – "Close My Eyes Forever"
06. LEMMY KILMISTER/RICHIE KOTZEN – "Desire"
07. DEE SNIDER/DOUG ALDRICH – "Crazy Train"
08. MARK SLAUGHTER/BRAD GILLIS – "Over The Mountain"
09. JACK BLADES/JEFF PILSON – "I Don't Know"
11. NOVEMBER'S DOOM – "Revelation (Mother Earth)"
12. ALEX SKOLNICK TRIO – "Goodbye To Romance"